A Caribbean Yacht Charter is one of the most popular, with over 7,000 tropical islands scattered through sapphire, sunlit seas. Whether you’re looking for deserted white-sand atolls fringed by coral reefs, glittering nightlife and designer boutiques, or jungle-covered peaks rising from the turquoise water, the Caribbean is a simply spectacular yacht charter destination. The peak Caribbean yacht charter season runs from December to May, yet the plentiful Caribbean sunshine and laid back island vibe are drawing increasing number of yachts year-round. In this Caribbean yacht charter guide, we run through the major Caribbean yachting destinations, from the Bahamas down through the Leeward and Windward Island chains. While not technically part of the Caribbean, the islands of the Bahamas are frequently considered a Caribbean yacht charter destination, so we’ll include them in this Caribbean yacht charter guide. The Bahamas are extraordinarily beautiful, with low white sand islands meeting shallow, sunlit seas. Leaving from the hustle and bustle of exciting Nassau with its world-class restaurants, casinos and waterparks, a Bahamas yacht charter heads out into the quiet archipelagos of the Exumas or the Abaco Islands- home to one of the world’s largest barrier reefs. 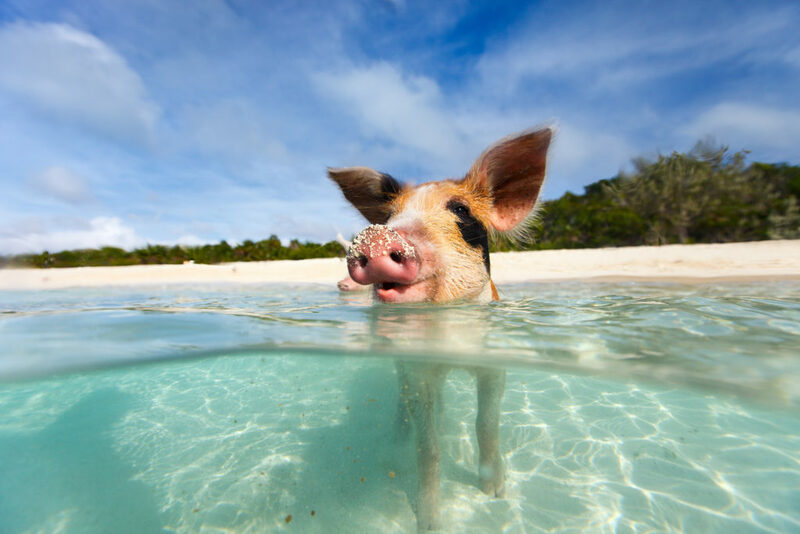 On your Caribbean yacht charter, see the adorable swimming pigs of the Exumas, swim with gentle nurse sharks, or visit one of the Bahamas’ famous blue holes. 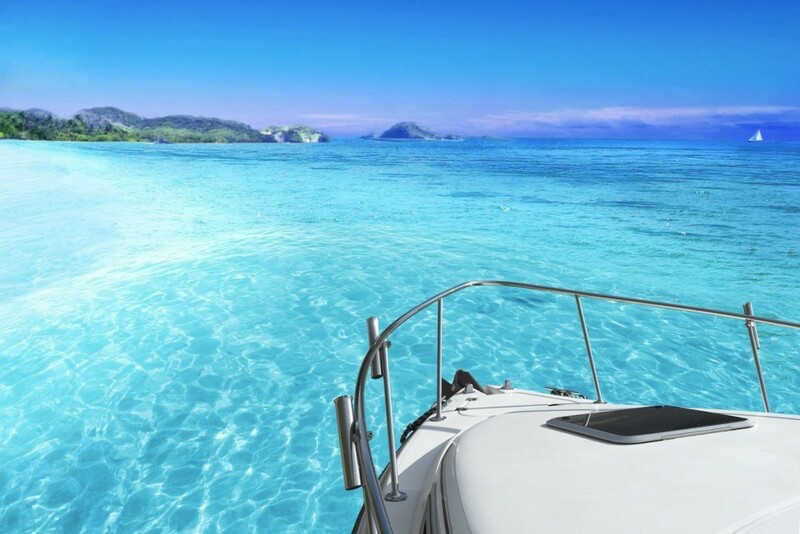 View a sample Bahamas Yacht Cruise Itinerary here. The Virgin Islands are one of the planet’s most popular yacht charter destinations, offering a glorious visual combination of sugar-white beaches, bending palm trees and hidden rainforest waterfalls. Made up of the British Virgin Islands and the US Virgin Islands, the Virgin Islands archipelago offer superb scuba diving and spectacular scenery, as well as high-end shopping, fine dining and wonderful yacht marinas. 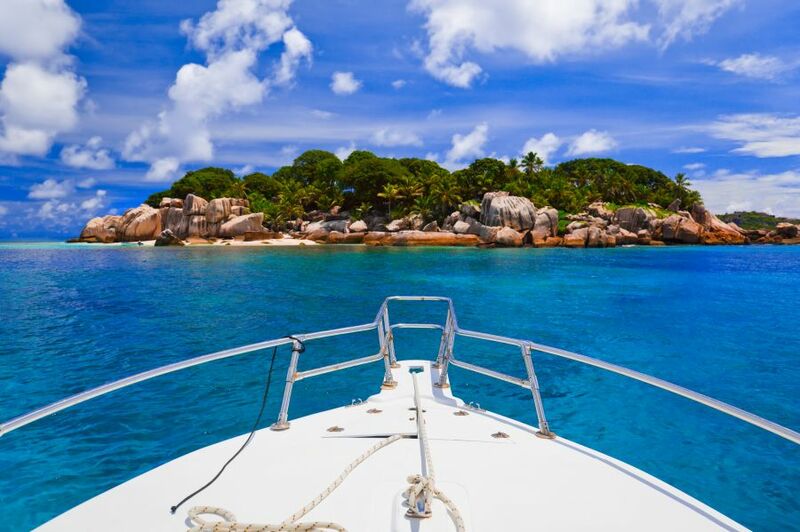 Snorkel Virgin Gorda’s stunning boulder pools, dive the famous Wreck Alley, watch flamingos fly over the pink sand beach of Anegada, then finish the day listening to a steel band play at one Tortola’s famous sailor bars. The Virgin Islands are also a sensational choice for a Caribbean yacht charter because the islands lie within a very short cruise of each other. 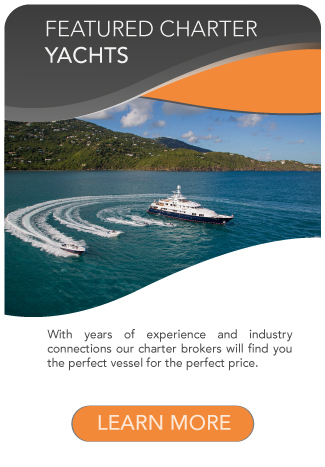 Explore your British Virgin Islands yacht charter options and US Virgin Islands yacht charter options with us. 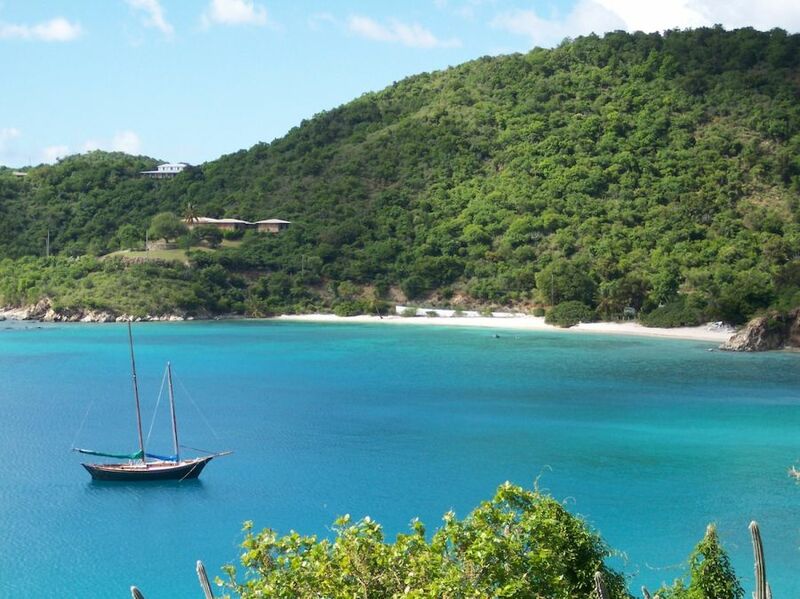 View a small BVI Yacht Cruise Itinerary here. 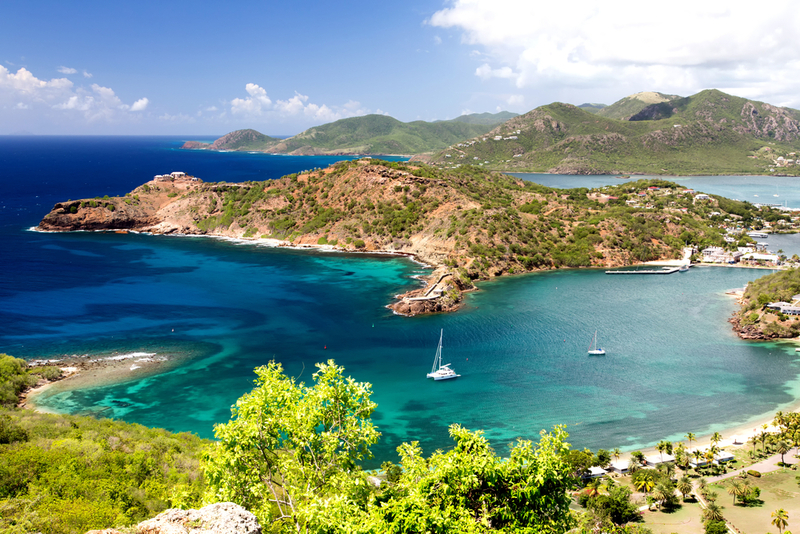 Probably the most well-known Caribbean yacht charter destination, a Leeward Island yacht charter vacation takes in the glamour and celebrity of ‘French-chic’ St Barts and the relaxed vibe of Antigua’s reggae bands and stunning beaches. When it comes to gorgeous beaches, neighbouring Barbuda takes some beating with its crystal clear seas and blinding white sands, while the superyachts are increasingly drawn to the exclusive island of Anguilla, where celebrity homes and brightly painted shacks sit looking out over the sparkling sea. St Martin is a gathering point for many yachts, proving a great place for French cuisine, boutique shopping and fun resorts, while the twin islands of Saint Kitts and Nevis are increasingly popular, showing a ‘Secret Caribbean’ of plantation hotels, coral reefs and monkeys in the jungle. Moving further south in the chain, the islands become more lush and volcanic, with the hot springs and craters of Dominica and the Parisian pavement cafes of French Martinique. 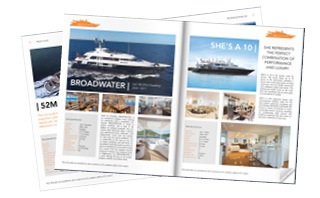 View a sample Leeward Islands Yacht Cruise itinerary here. On a Windward Islands yacht charter, Saint Lucia is simply unforgettable. The twin peaks of the Pitons loom high above the island, thick rainforest running down to white sand beaches and turquoise seas. As you venture further south on your Caribbean yacht charter, you’ll come to Saint Vincent and the Grenadines, a stunning chain of islands that are less developed than the Leeward Islands to the north. Visit exclusive Mustique, explore underwater volcanoes and dive or snorkel with sea turtles on Horseshoe Reef at Tobago Cays. The Grenadines are a wonderful example of Caribbean colour and life, full of local markets, church processions and colonial architecture. At the bottom of the Windward Island chain you’ll come to Trinidad and Tobago, the birthplace of calypso music and the home of vibrant street carnivals and long, deserted beaches. The Caribbean is vast and full of wonder. 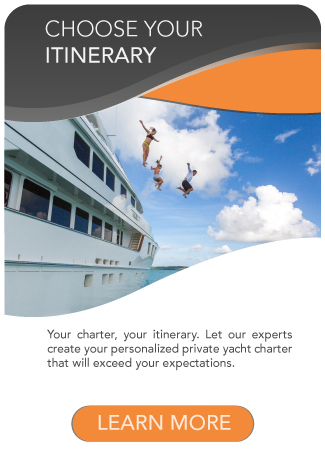 Wherever you choose to visit, a Caribbean yacht charter is an experience of a lifetime. 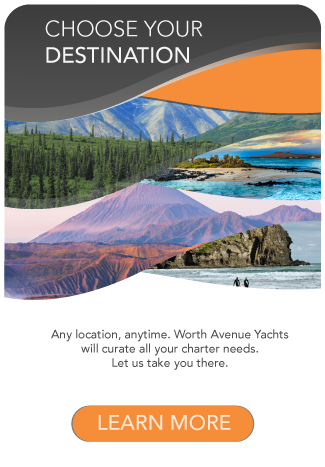 at Worth Avenue Yachts to start planning your Caribbean yacht charter.